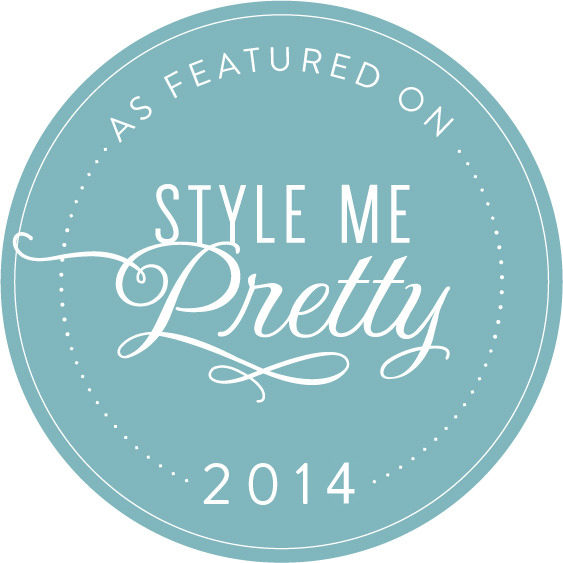 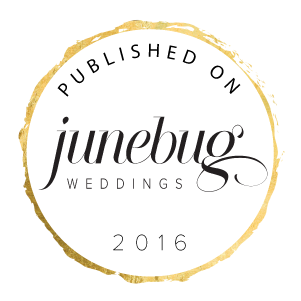 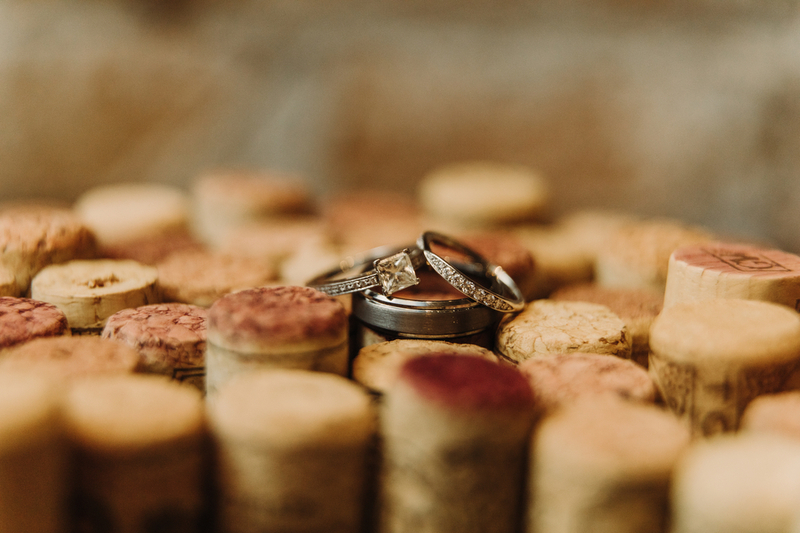 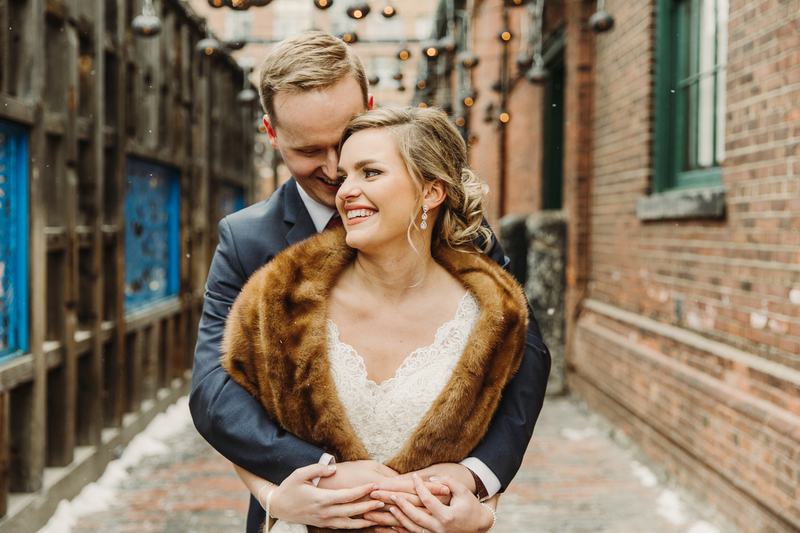 It was a winter day in February of this year and Megan and Peter were ready to get married! 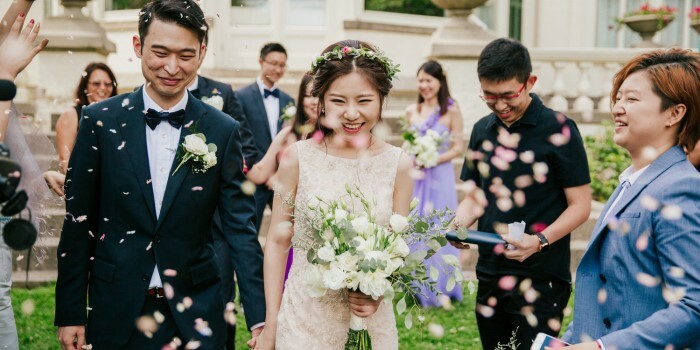 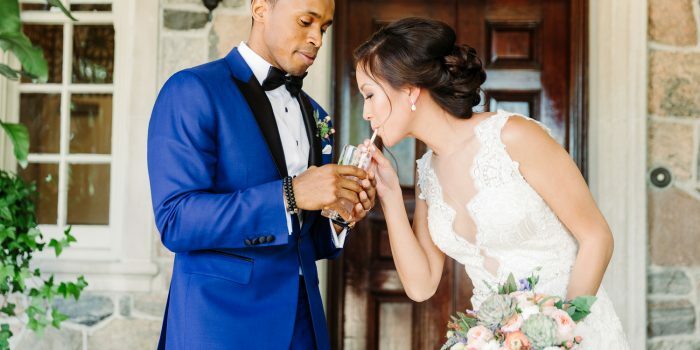 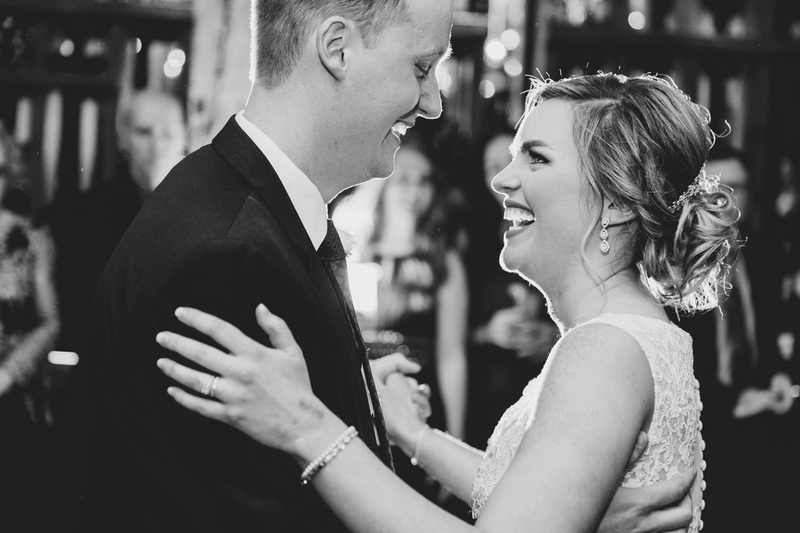 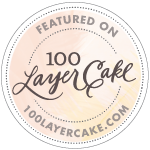 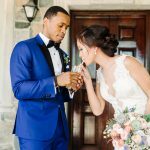 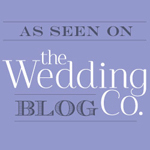 I met them for the first time that day (outside of planning communication leading up to the wedding) and they were instantly so easy to be around and very welcoming. 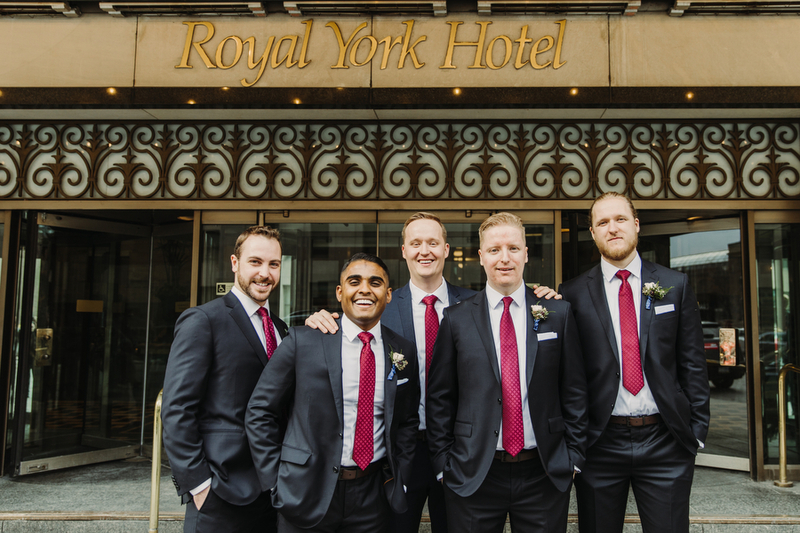 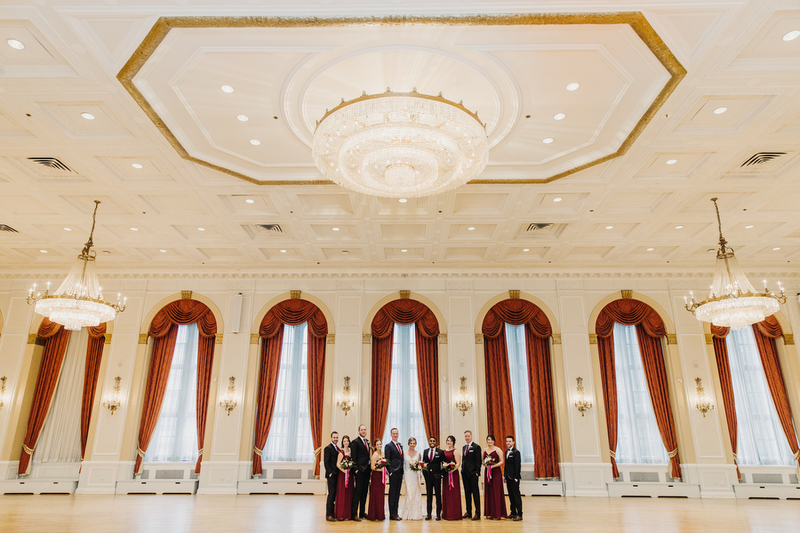 They had a first look at the Royal York Hotel in the ballroom (a place where I rarely get to shoot!) 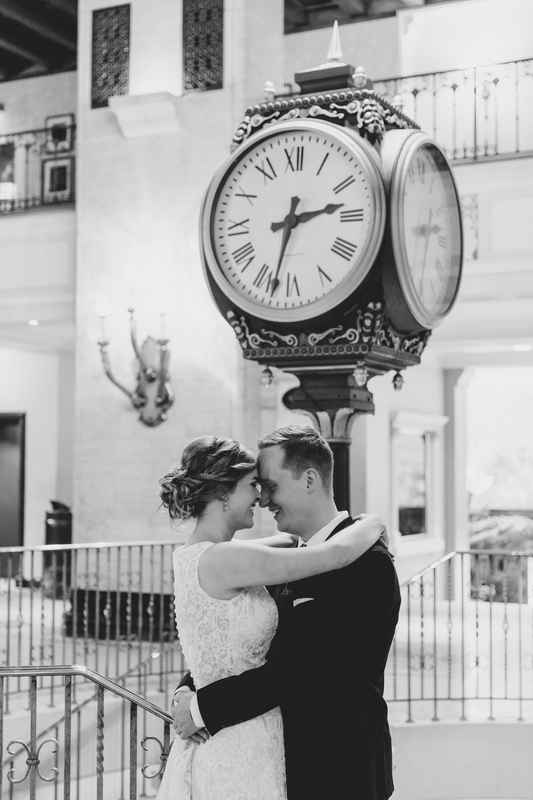 and we had the whole ballroom to ourselves! 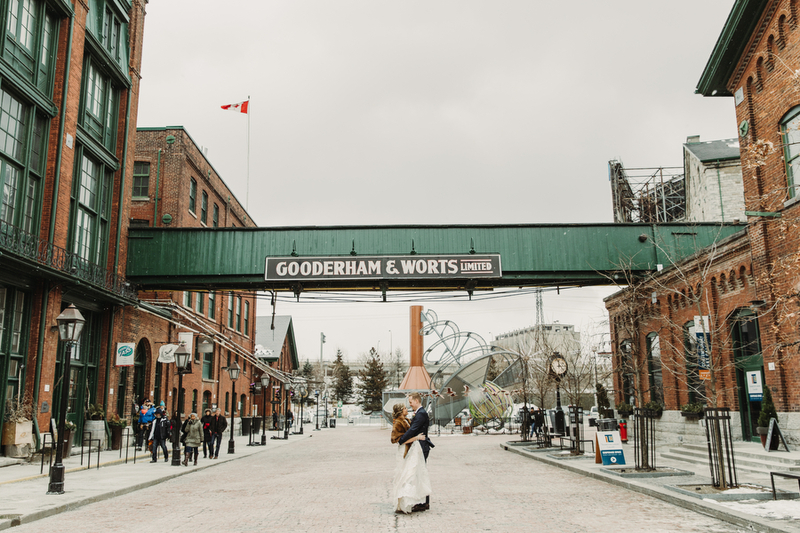 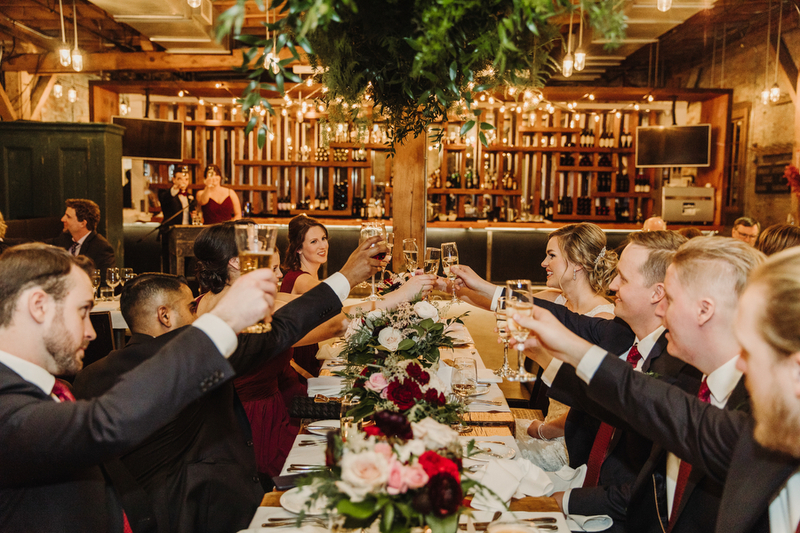 We then made our way to the Distillery District for their wedding party photos, couple photos, ceremony at Arta Gallery and reception at Archeo – quite easily one of my favourite venues downtown Toronto for an intimate wedding (seriously, the bar is RIGHT NEXT to the dance floor. 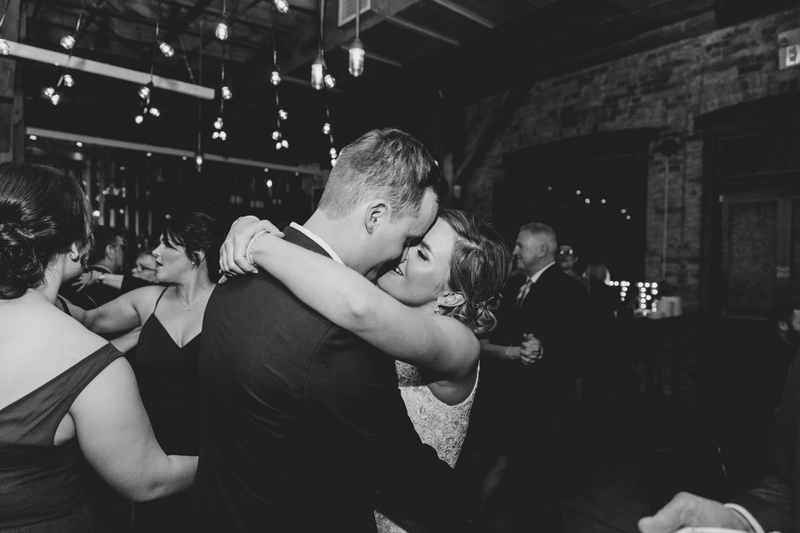 That’s the secret to a great dance party IMO). 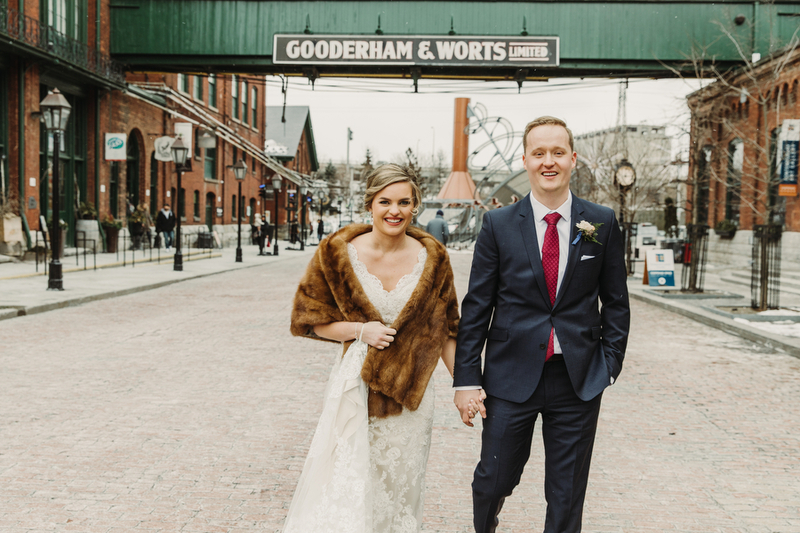 After shooting around the Distillery District we all stopped by in to the Mill Street Brew Pub for a pint to warm up after photos. 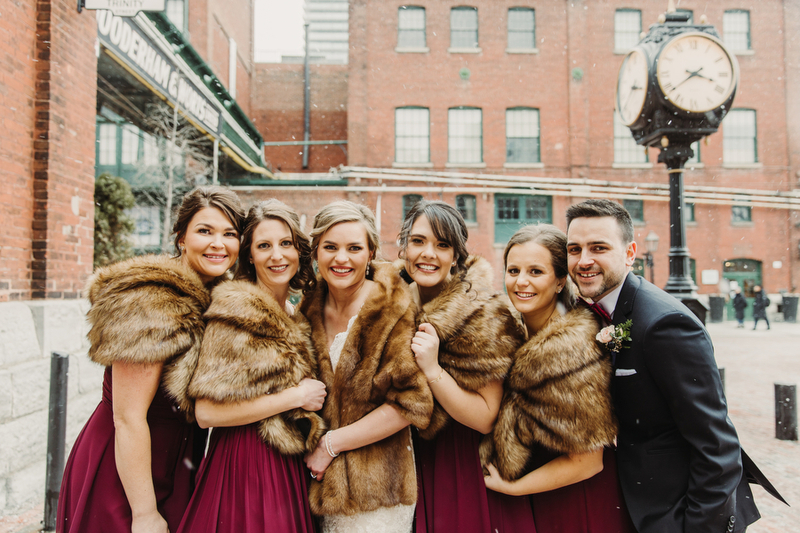 I always love it when there is time to hang out at a bar with the wedding party before everything begins! 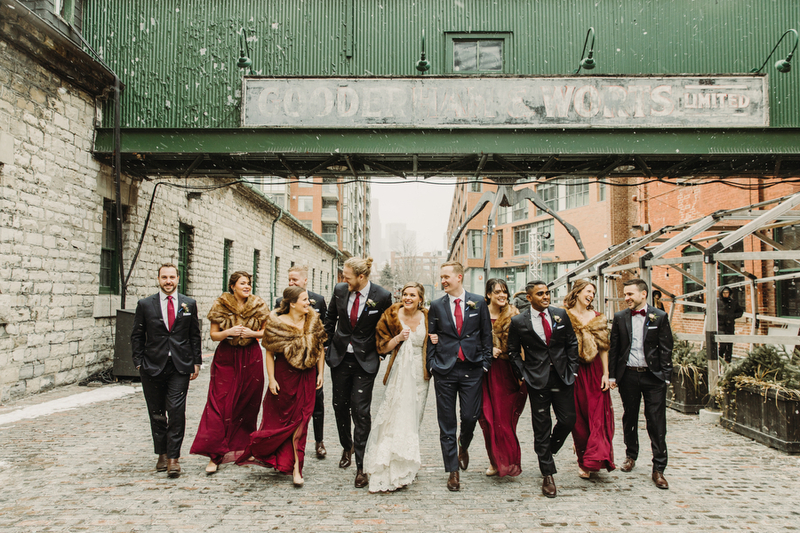 It’s such a great time for us photographers to get candid photos of everyone together in an informal way. 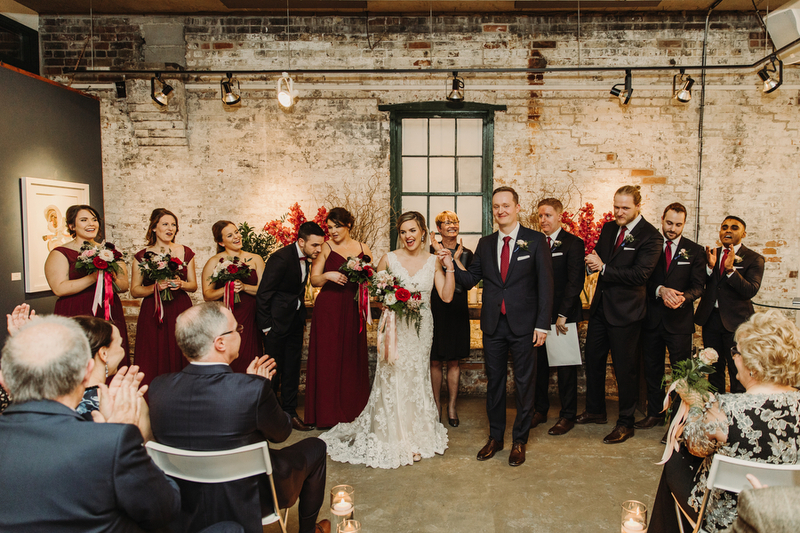 At Arta Gallery, they lined the aisle with candles, which added to the warm glow of the gallery lights, and had a string quartet to provide music. 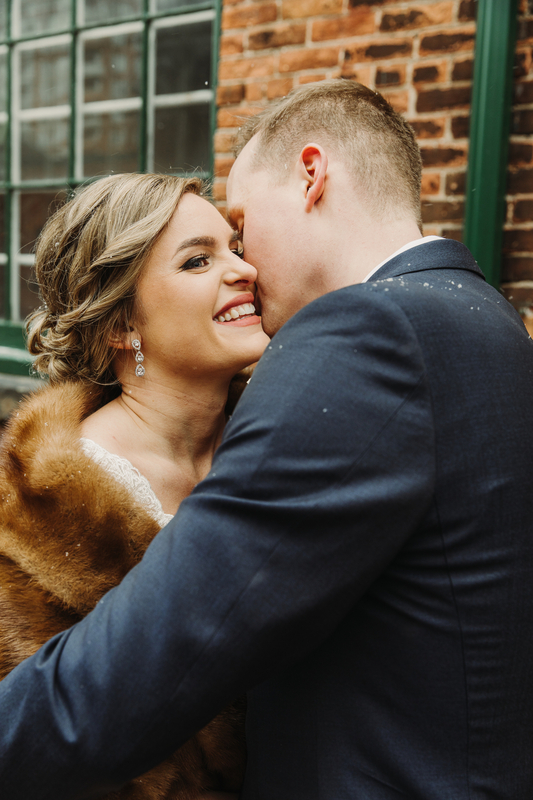 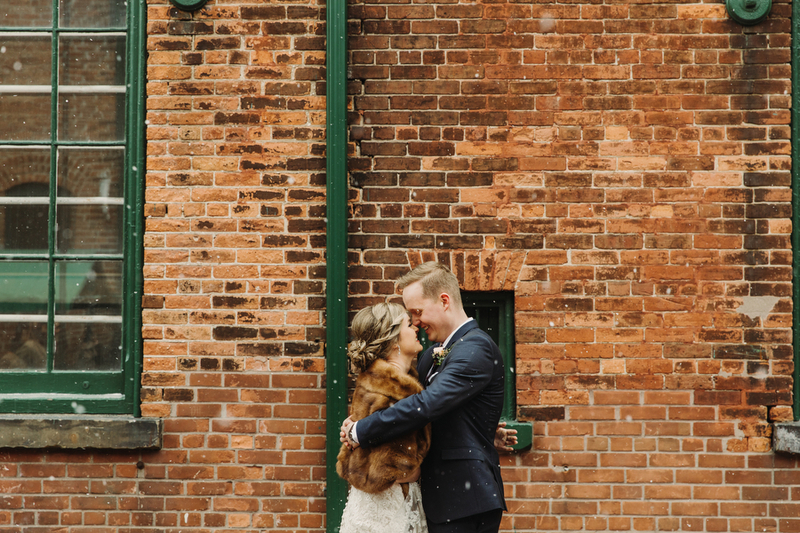 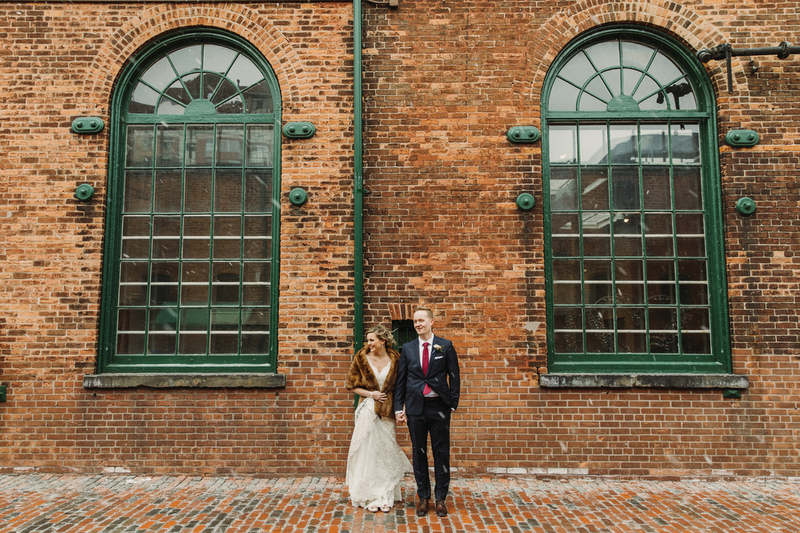 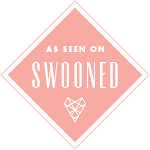 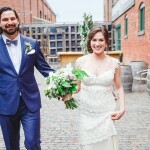 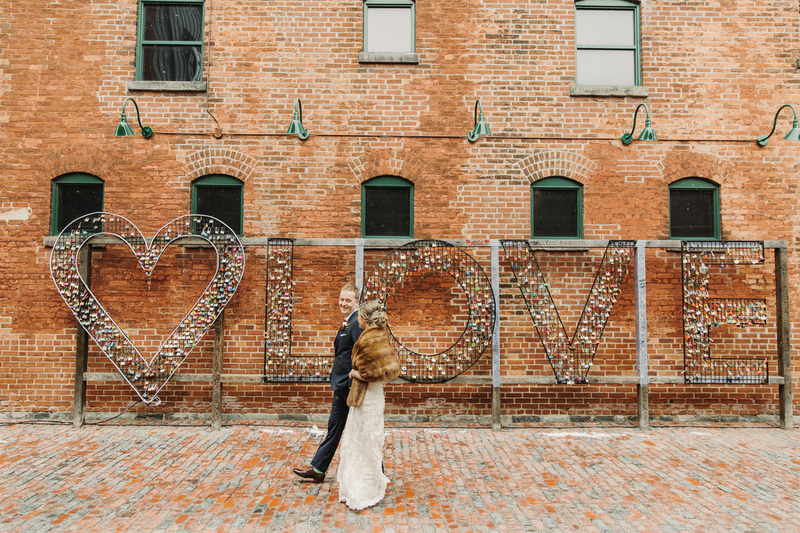 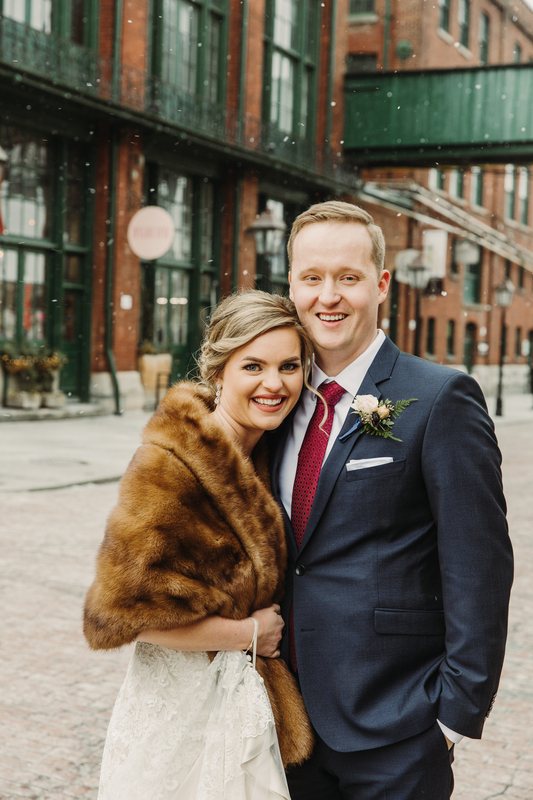 Their cosy winter wedding at Archeo in Distillery District was toasty warm. 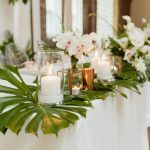 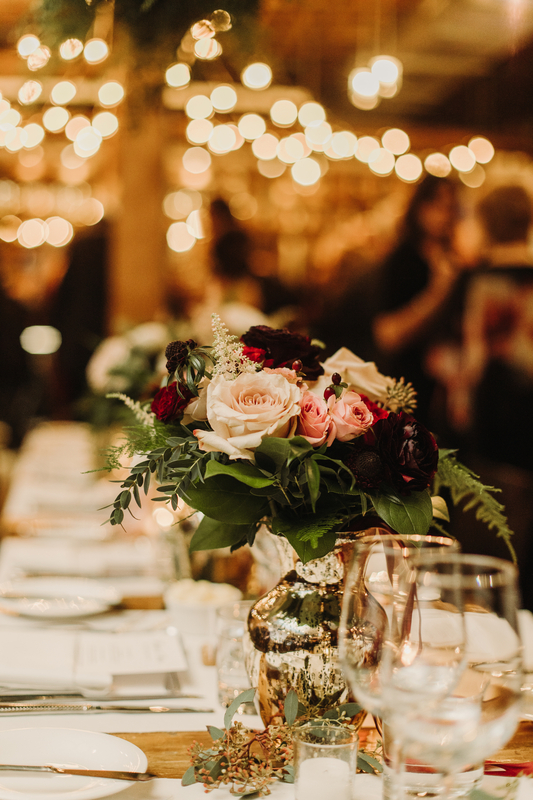 The venue had glowing edison bulb lights hanging above, the tables were decorated with deep berry toned flowers and a big hanging floral installation above the head table. 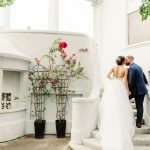 For their ‘guest book’ they had a giant jenga set with their names and wedding date on the side and encouraged their guests to sign a jenga piece, write a message to them and put it on top.